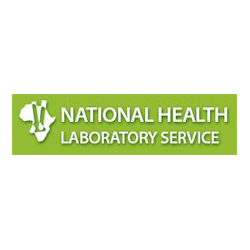 The National Health Laboratory Service (NHLS) is the largest diagnostic pathology service in South Africa with the responsibility of supporting the national and provincial health departments in the delivery of healthcare. The NHLS provides laboratory and related public health services to over 80% of the population through a national network of laboratories. Its specialised divisions include the National Institute for Communicable Diseases, National Institute for Occupational Health, National Cancer Registry and Antivenom Unit.